The new Roll-Flex LED light is developed with the latest LED technology to perform rollable and flexible movement with thickness of only 10mm. The Roll-Flex light body size is 64*64cm. RX-24TDX is designed with 4 channels seclection, if you use two lights or more together,every lights that are in the same channel will then sync together with the same color and power setting through 2.4G signal enhancement antenna.It can aim for all kinds of shooting and micofilming. 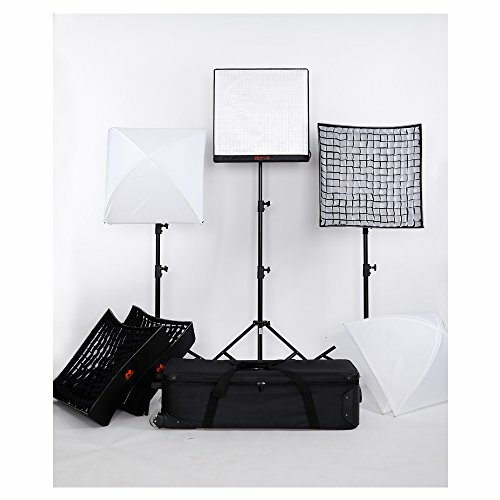 It's handy lightweight and easy to carry around which is great to use as your no-sunlight reflector or as a fill light. With the help of the optional clamp,user could mount the Roll-Flex LED light on a light stand in order to use as a led panel. Power of each light is150w,Bi-Color Temperature is 3000-5600k. DMX control system: Compatible with DMX 512. Support RC-3T 2.4G wireless remote control.You need set the ID same with the Light LCD touch screen before using.